At the first look, the String Theory seems just an interesting and non-trivial application of the quantum mechanics and the special relativity to vibrating strings. By itself, the quantization of relativistic strings does not call the attention of the particle physicist as a significant paradigm shift. However, when the string quantization is performed by applying the standard rules of the perturbative Quantum Field Theory, one discovers that the strings in certain states have the same physical properties as the gravity in the flat space-time. Chapter one of this book reviews the construction of the thermal bosonic string and D-brane in the framework of the Thermo Field Dynamics (TFD). It briefly recalls the well-known light-cone quantization of the bosonic string in the conformal gauge in flat space-time, and gives a bird’s eye view of the fundamental concepts of the TFD. Chapter two examines a visual model inspired by string theory, on the system of interacting anyons. Chapter three investigate the late-time dynamic of the universe in a 7-dimensional cosmology in the presence of higher-order curvature terms arising from the heterotic string effective action. Chapter four discusses life resulting from strings, water, and DNA united by mislion. 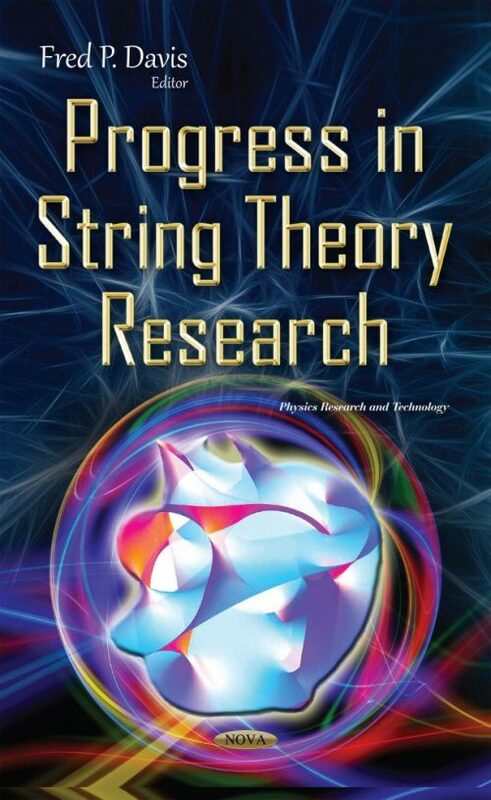 The final chapter provides new viewpoints of light quantum research on lightstring.